With so much competition in the online casino industry, it is genuinely surprising that so many different brands continue to flourish and gain a unique audience. Sure, not every site hosts the same games, but other than that what is it that makes each casino provider different from the rest? Well, as we’re sure the online gamers amongst you will know: it’s the promotions. Online casinos are only as popular as they are enjoyable, so if a site never hosts exciting, exclusive promotions or giveaways, then players are bound to go looking for greener pastures. However, this causes some issues for casino customers, as with so many promotions on offer it can be difficult to find the right ones for you as an individual. Today, we thought we’d explain how you can make the most out of casino promotions and ensure you are a winner. Nothing in this world is free, and so to take part in promotions you will usually have to spend a little bit of money. Fortunately, the amount you spend will typically be far less than the amount you could win, particularly when tickets cost less than 10p. Still, this does mean that you must make a deposit to get involved and nothing is more frustrating than an online casino with a lack of modern payment methods. Instead of spending precious promotion minutes filling out your personal information on numerous pages, try opting for casinos that allow you to use Neteller or Paypal. For an even swifter transaction, check out sites like Mr Spin where you can deposit by phone bill to gain immediate access without sharing any personal information. Although seasoned casino players are probably aware of wagering requirements, sites must now make them clear to all players. A wagering requirement is the amount of money you must bet before you can withdraw bonus winnings from your account. The golden rule when it comes to wagering requirements is that the higher the requirement is, the less likely you are to make any profit. 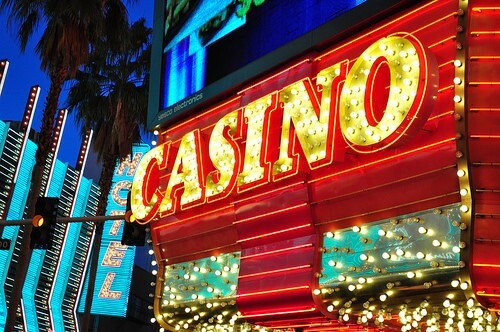 Although absolutely no casino promotions are allowed to state wagering requirements of 100x the original bet or more, some can be pretty high. Also, the only promotions that may not have a wagering requirement are cash-back promotions, so always read the terms and conditions. Say you’re on your favourite online casino and they’ve just launched a brand new promotion. However, you’ve read the amount you could stand to gain as well as the terms and conditions, and it still doesn’t seem like a good deal. This is when you should head over to that site’s affiliates. These sister sites may be running exclusive promotions that are well worth getting involved in, which is why your favourite site is having to give away a lot less. You can usually find affiliate sites by Googling, but most casinos will also have an ‘Affiliates’ page you can take a look at as well. Now that you have all the information you need to find the best promotions, make the most out of them by actually getting involved. After all, you can’t win unless you play.